I hope you're enjoying a loooong weekend with friends + family. 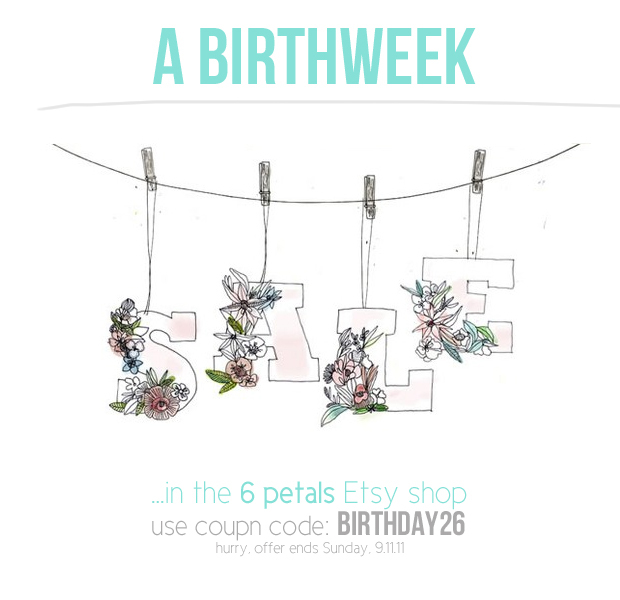 Just wanted to pop in to announce a birthweek sale in the shop (because birthdays should be celebrated for at least a week) and I'm extending my birthday discount to you. I'm sure you can find a little vintage something with your name on it in the shop.